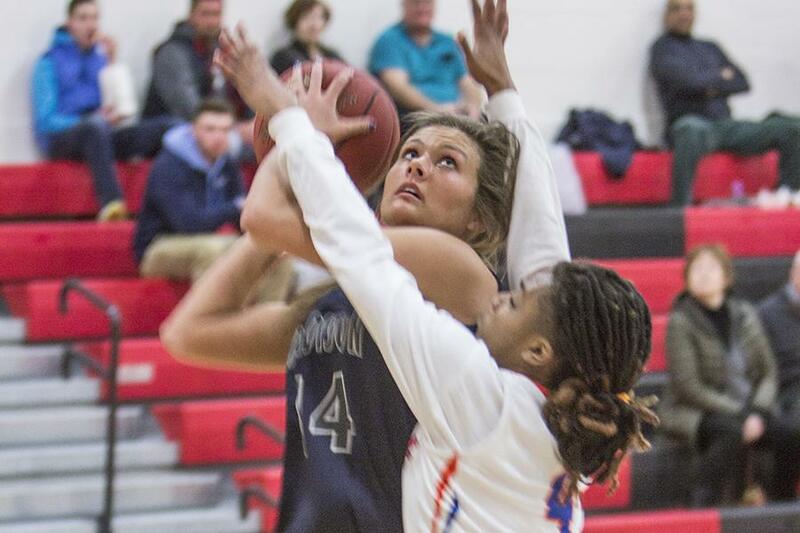 After splitting with Joliet Junior College during the regular season, the sixth-ranked Madison College women’s basketball team knew it would be facing a challenge in the semifinals of the NJCAA Region IV tournament. 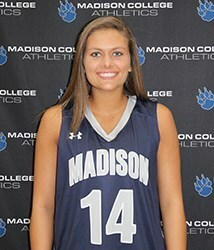 Madison College took a 44-41 halftime lead behind Rachel Slaney’s 20 first half points. But Joliet found a way to limit Slaney to just four points in the second half and rallied to upset Madison College, 73-70, on Feb. 25 at Rockford, Illinois. Joliet went on to lose to Rock Valley College, 65-61, in the regional final. Slaney, the WolfPack’s all-time career scoring leader, finished with 24 points, 23 rebounds and five assists. 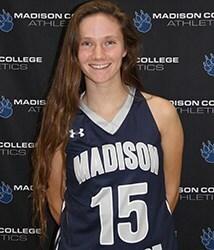 Three other players scored in double figures for Madison College. Macy Graf netted 17 points, Jamie Falk added 14 points and Megan Corcoran scored 13 points. The game featured nine ties and 18 lead changes. Madison College had a shot at a game-tying three-pointer as time expired, but the shot was off the mark. It was a valliant effort for the WolfPack, which was forced to play without starting point guard Peyton Trapino, who was out due to injury. Madison College finished the year with a 20-7 overall record and 11-4 record in the North Central Community College Conference under first year coach Lois Heeren. The WolfPack finished second in conference play and recorded its fourth straight 20-win season. The successful season earned three players post-season recognition. Slaney was named the N4C and Region IV co-player of the year for 2017. She shared top honors in the conference and region with Rock Valley’s Tierra McGowan. 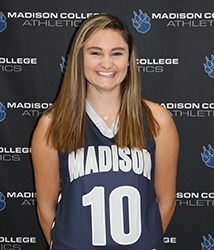 A Barneveld, Wisconsin, native, Slaney become the third Madison College women’s basketball player to score more than 1,000 points in her career. She led the team in every major statistical category this season, averaging 25.3 points and 12.7 rebounds during the regular season. Slaney finished the year with 19 double-doubles and set career and program highs by scoring 39 points in one game and grabbing 26 rebounds in another. Slaney scored 683 points this set to finish her career with a record 1,161 points. 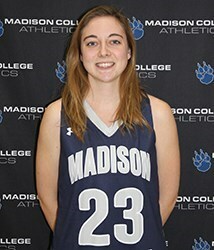 Her 352 rebounds this year was third best single season effort in Madison College history. She also led the nation in free throws made at 201. In addition, Corcoran and Trapino both received second team all-conference and all-region honors. The two freshmen guards excelled throughout the season. 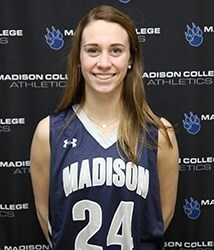 Corcoran, a Madison LaFollette graduate, finished second on the team in scoring with an average of 13.3 points a game. She hit a team-high 44 three-point shots and averaged 4.9 rebounds a game. Trapino, who played at DeForest High School, finished third on the team in scoring with 12.9 points a game. She was second on the team in rebounding at 6.0 a game, steals at 3.4 a game and assists at 4.0 a game.